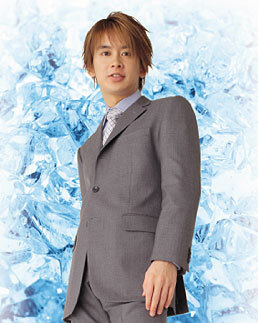 Haruhiko Kato was born in 1975, in Aichi. He debuted in a TV drama series "Ari yo, saraba (Farewell, Ari)" in 1994. Since then, he has appeared in numerous commercials, TV dramas and variety shows. His amiable charm has won him popularity among wide audiences. Kato has appeared on numerous TV shows, as well as the popular radio show, "All Night Nippon." His first film was Midori (1996), and he later extended his versatility with 2000's Another Heaven and Moon (Tsuki). Kato has received the Japanese Movie Producer Association Erandoru New Actor Award, and he is regarded as one of Japan's best young actors.